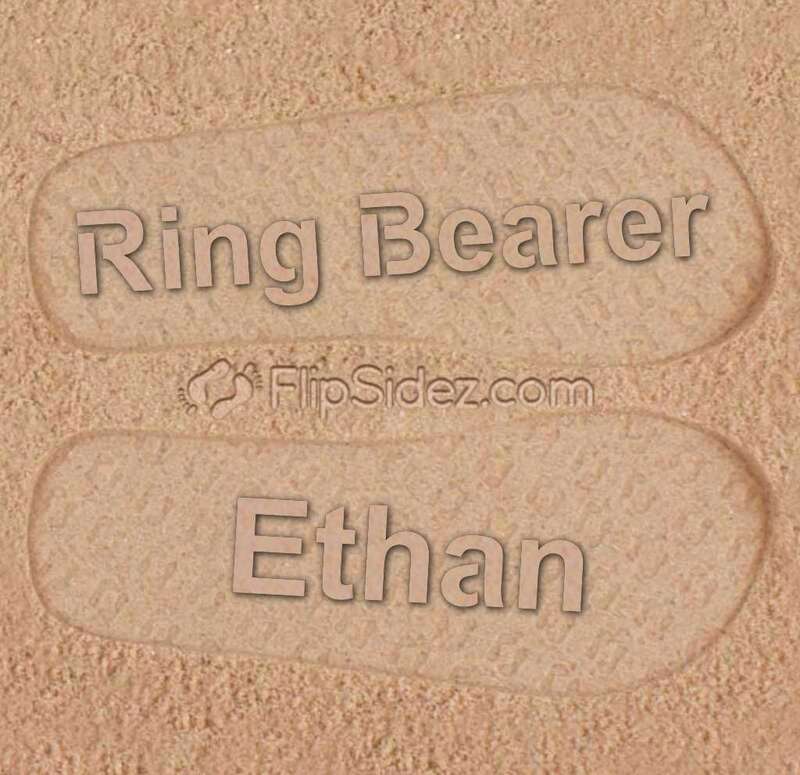 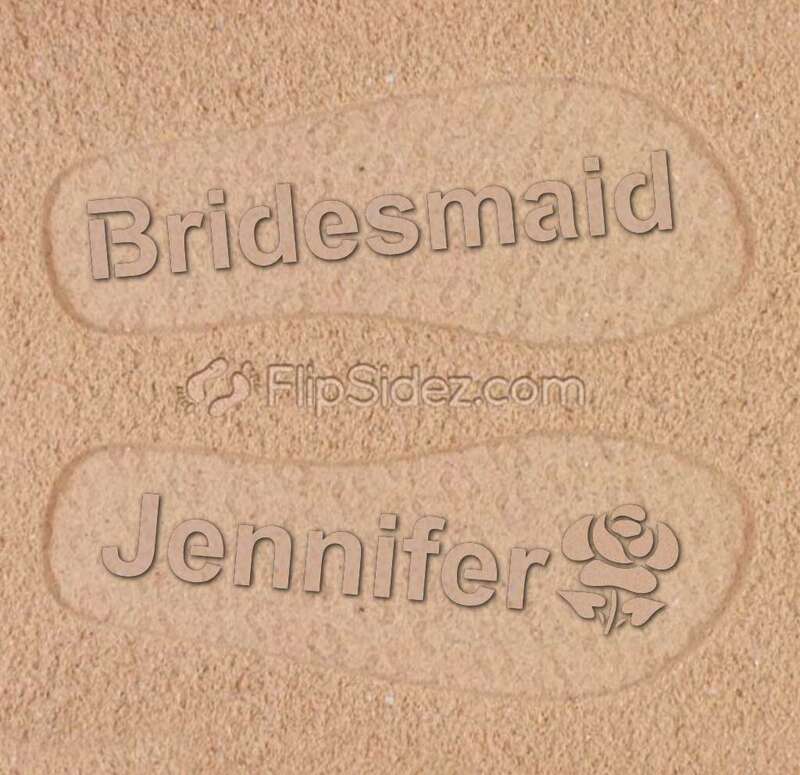 Personalized wedding flip flops add a unique and special touch to any beach wedding. 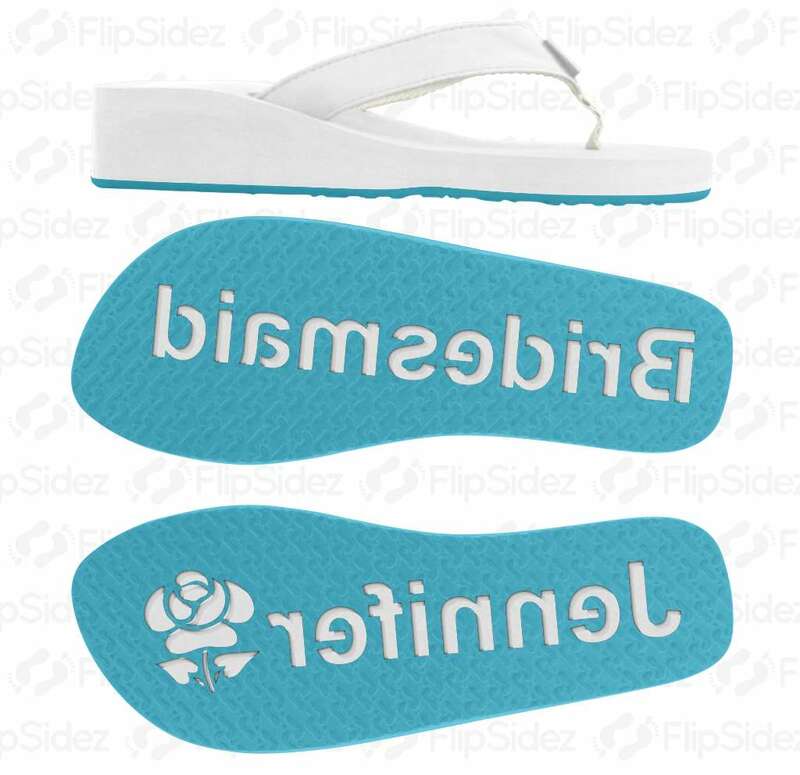 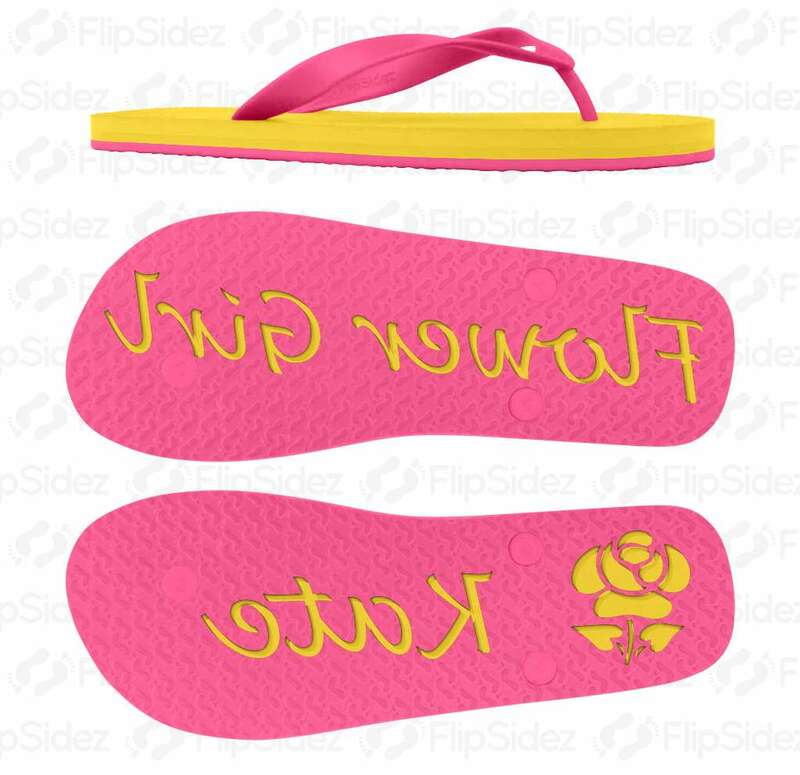 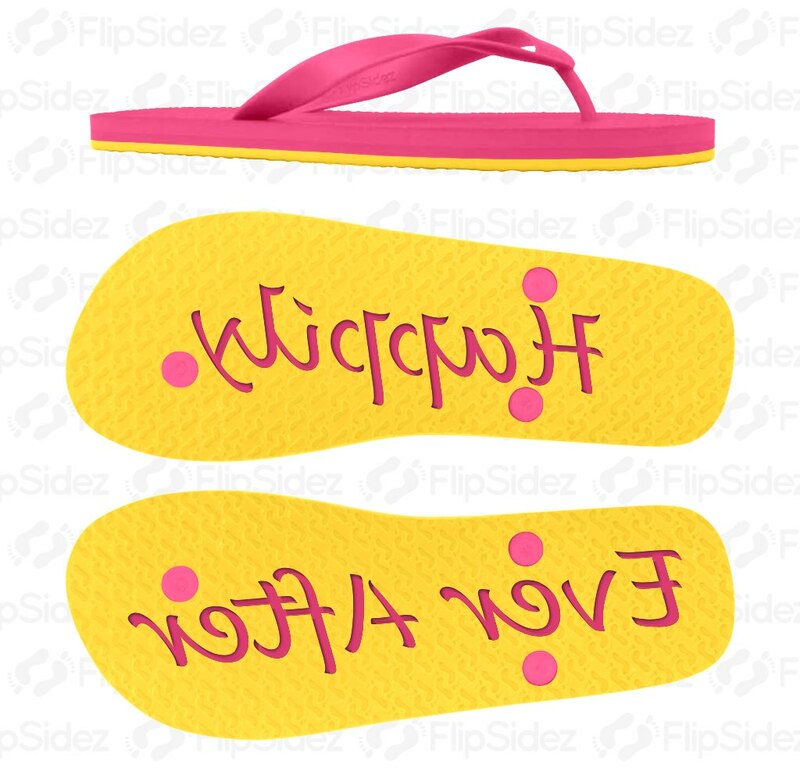 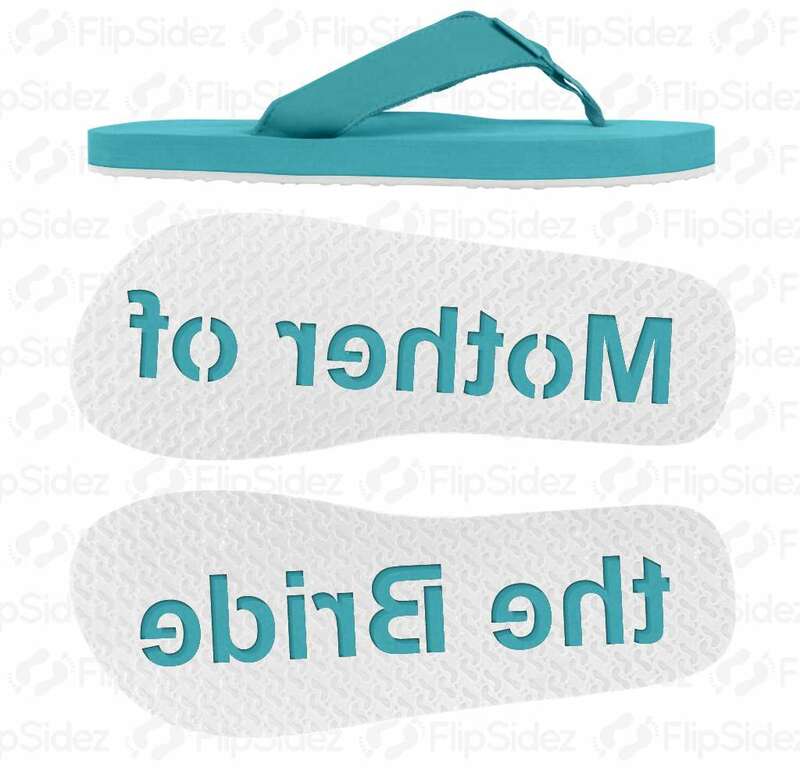 Whether you are ordering a couple pairs for the bride and groom, or 100 pairs for the bridal party and guests, every pair of FlipSidez wedding flip flops can be personalized. 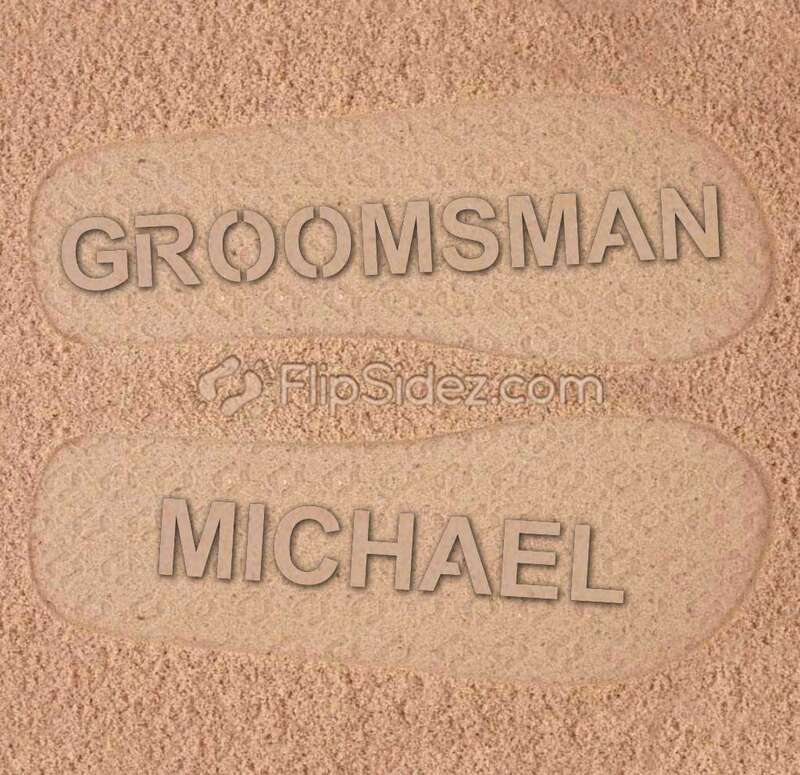 Popular designs include: wedding dates, I DO, Bride and Groom names, destination name, Just Married, and more. 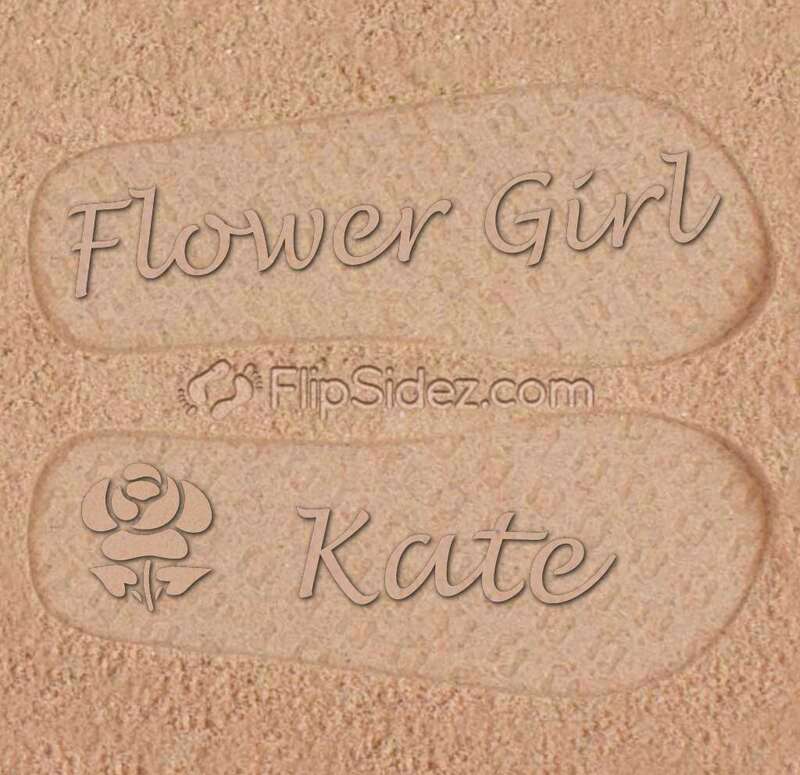 For those who are looking for the perfect bridal shower gift for the bride, look no further than personalized bridal flip flops. 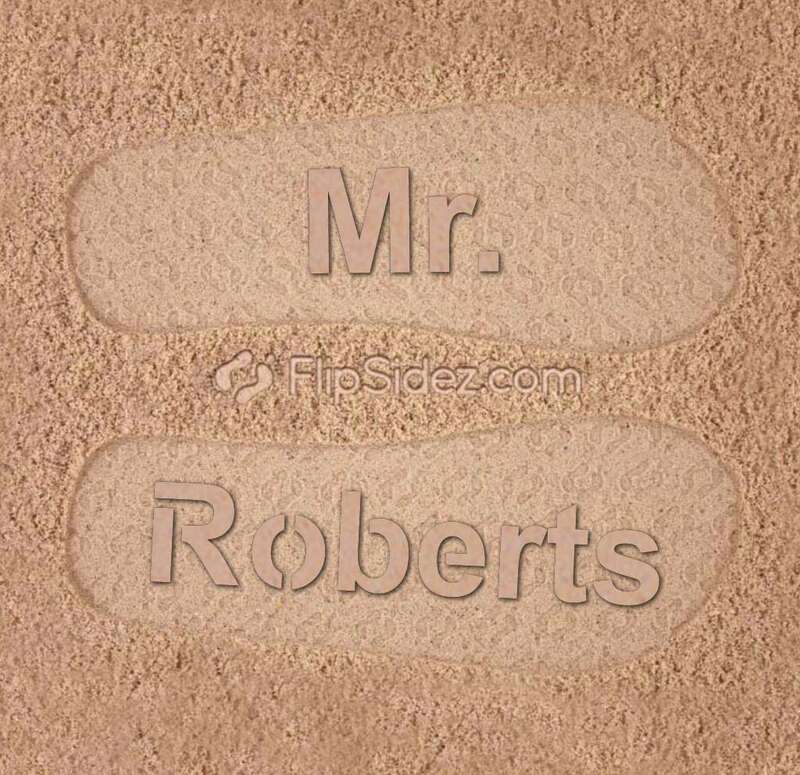 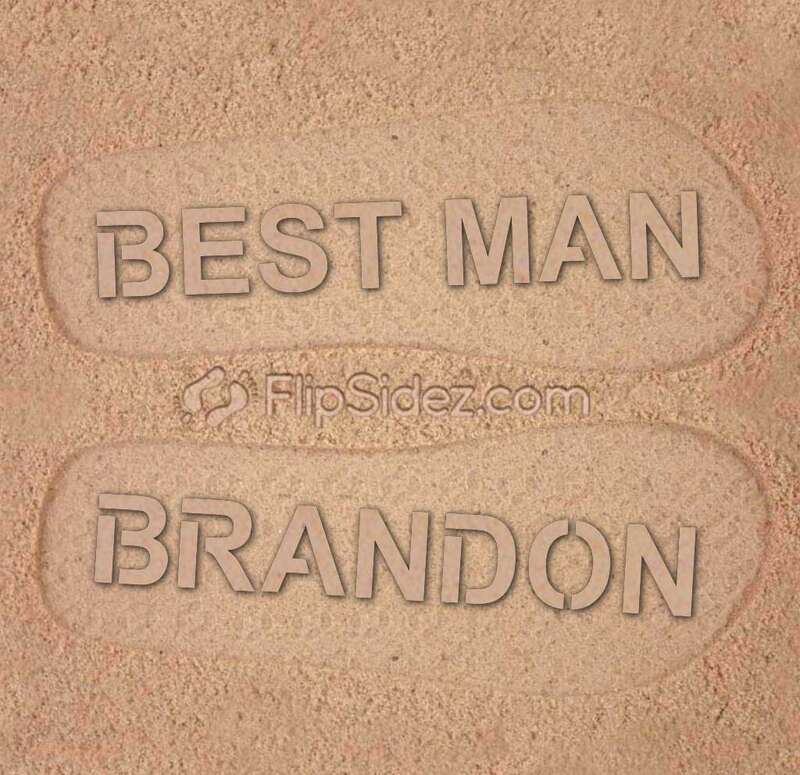 Even if the bride is not having a beach wedding, honeymoons are often in beach locales where the bride is sure to enjoy making personalized imprints with each step. 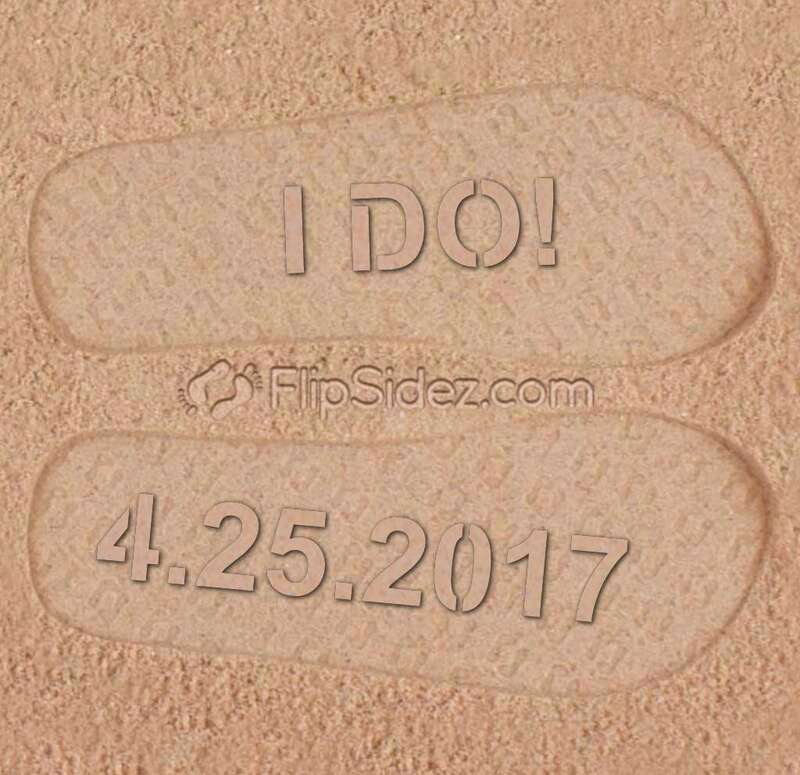 As destination and beach weddings grow in popularity, custom wedding flip flops, that leave imprints in sand, are becoming an increasingly popular wedding favor to give to guests. 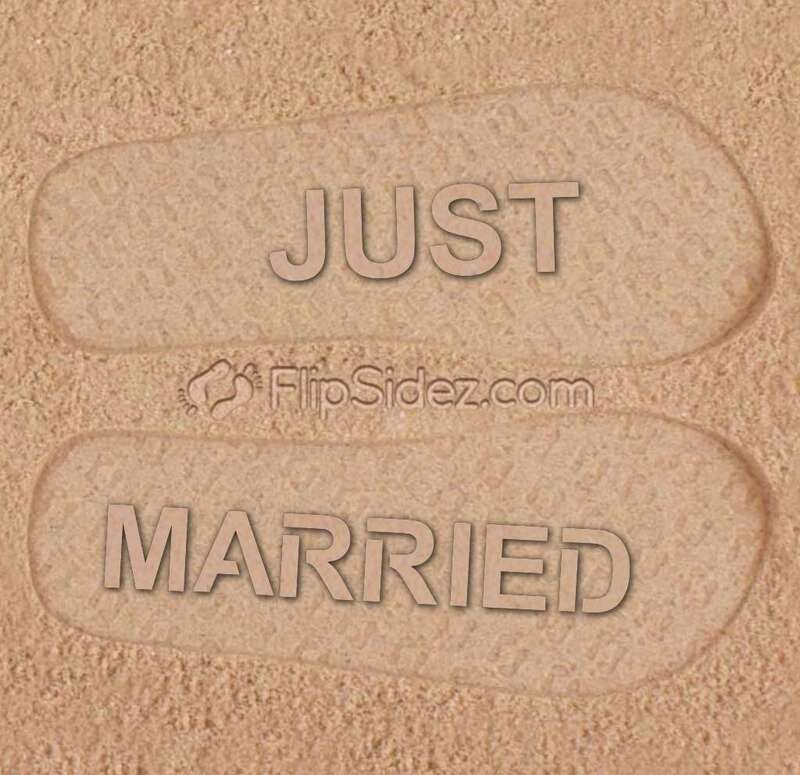 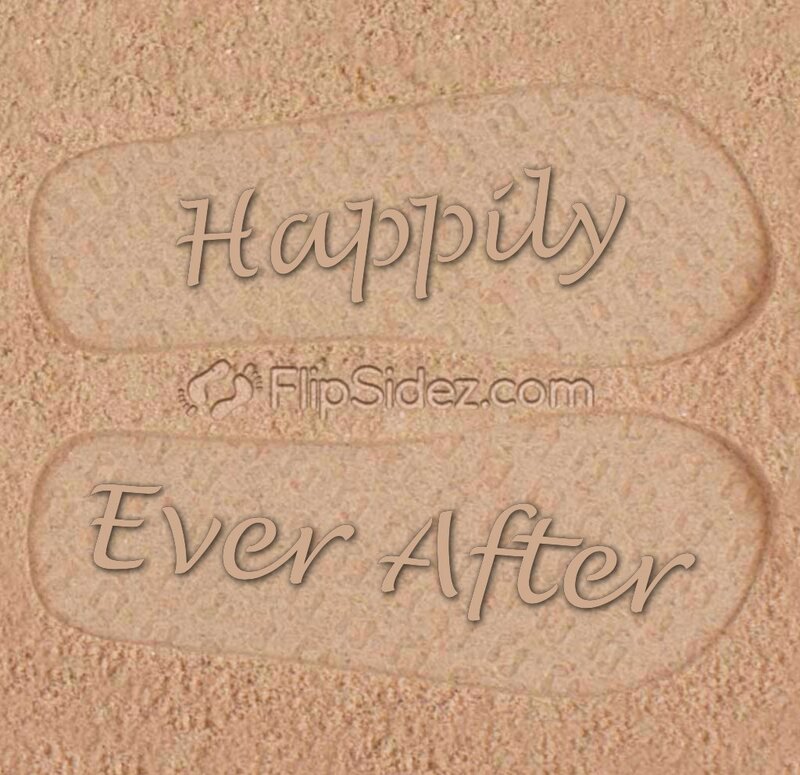 Your custom wedding flip flops can be a wide range of sizes and colors. 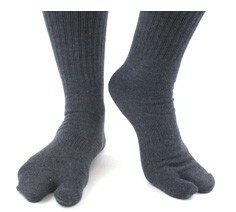 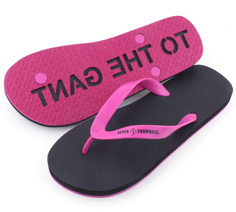 Wholesale discounts start with orders of 10 pairs or more. 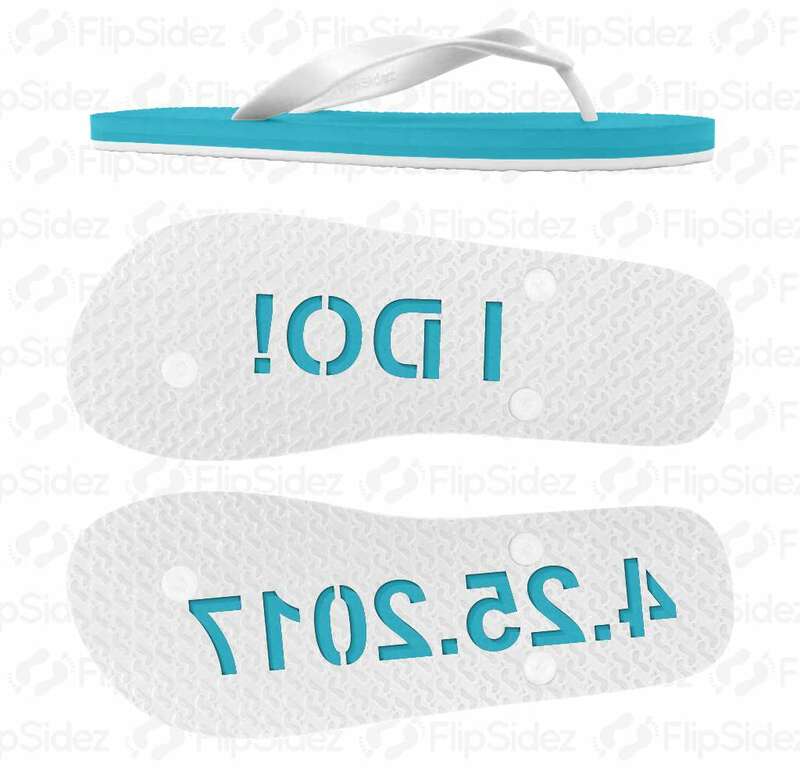 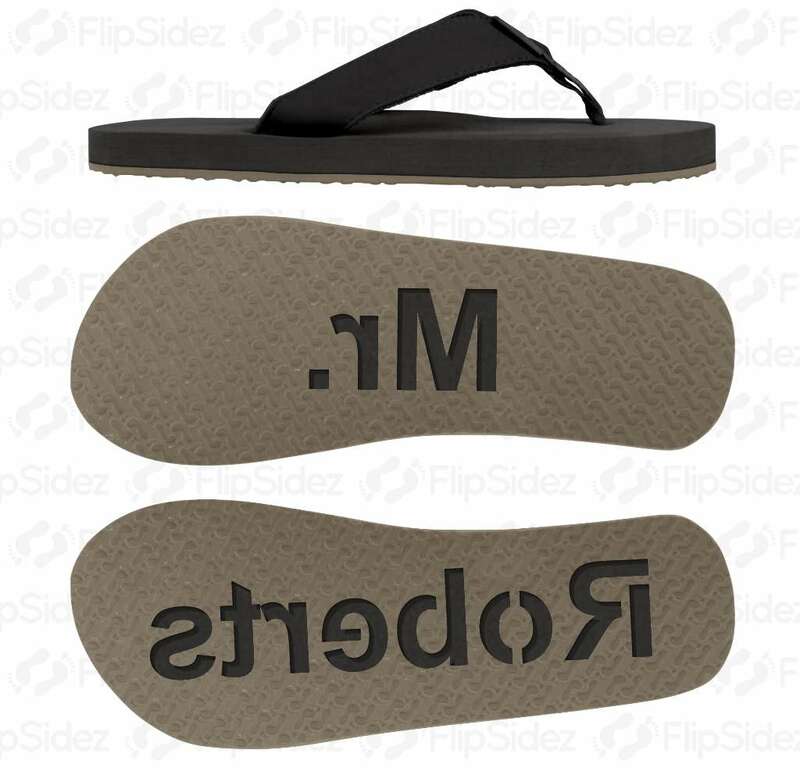 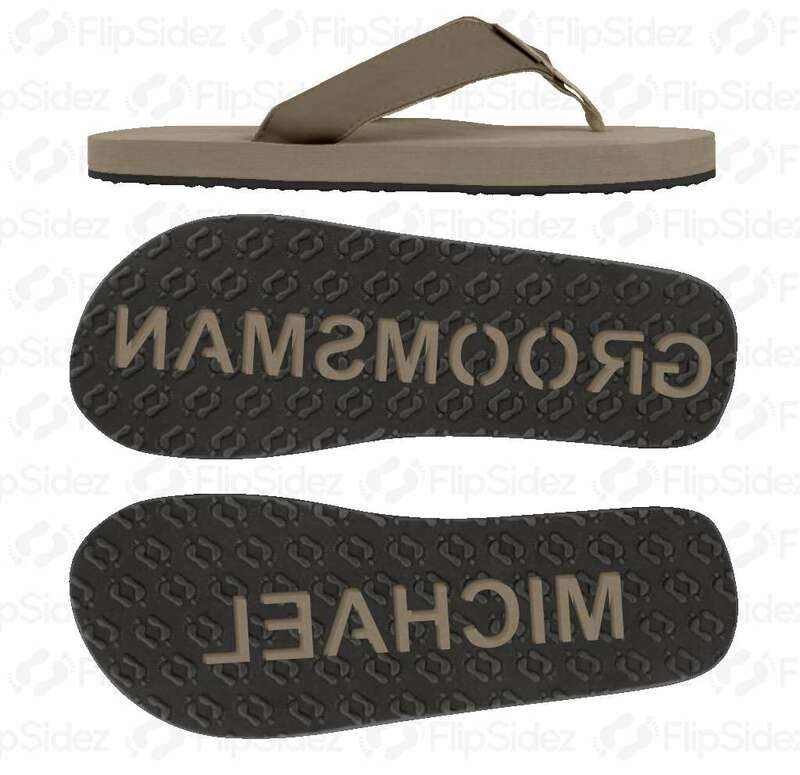 The pricing that you receive is based on the total quantity of flip flops ordered. 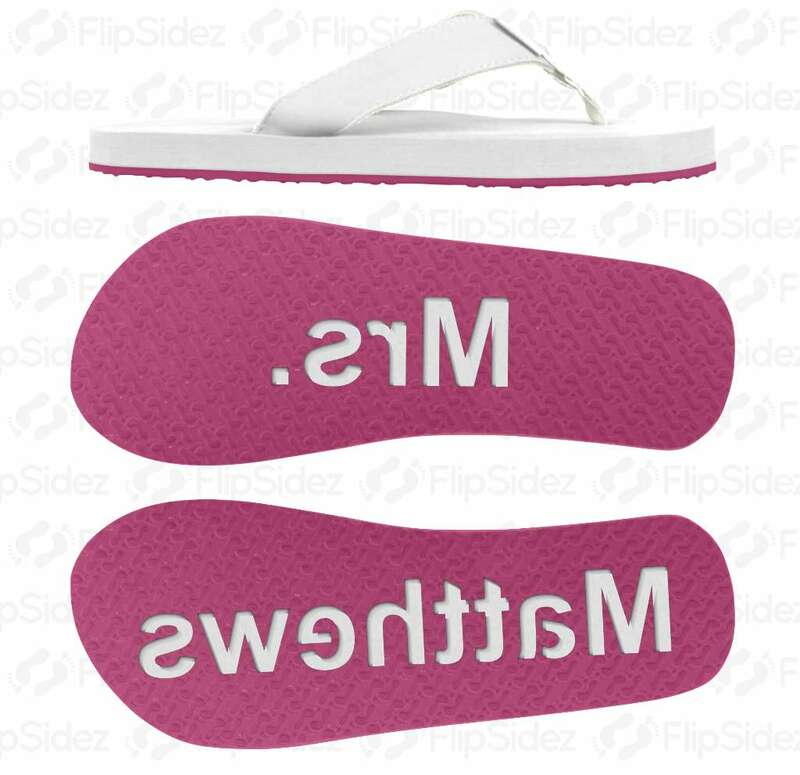 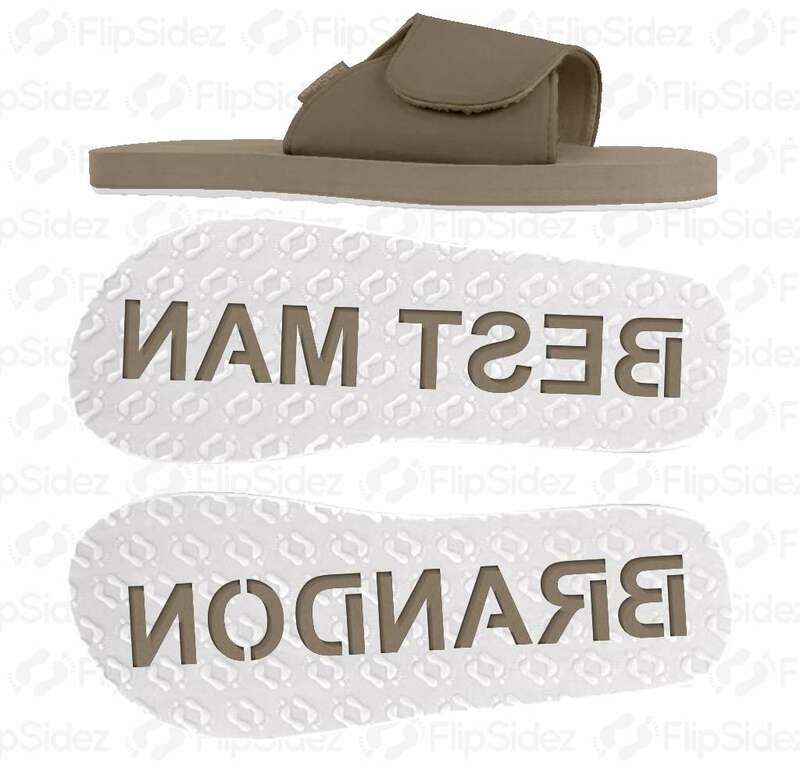 With this in mind, orders may consist of any combination of flip flop sizes, colors, and sand imprint designs, without affecting the price. 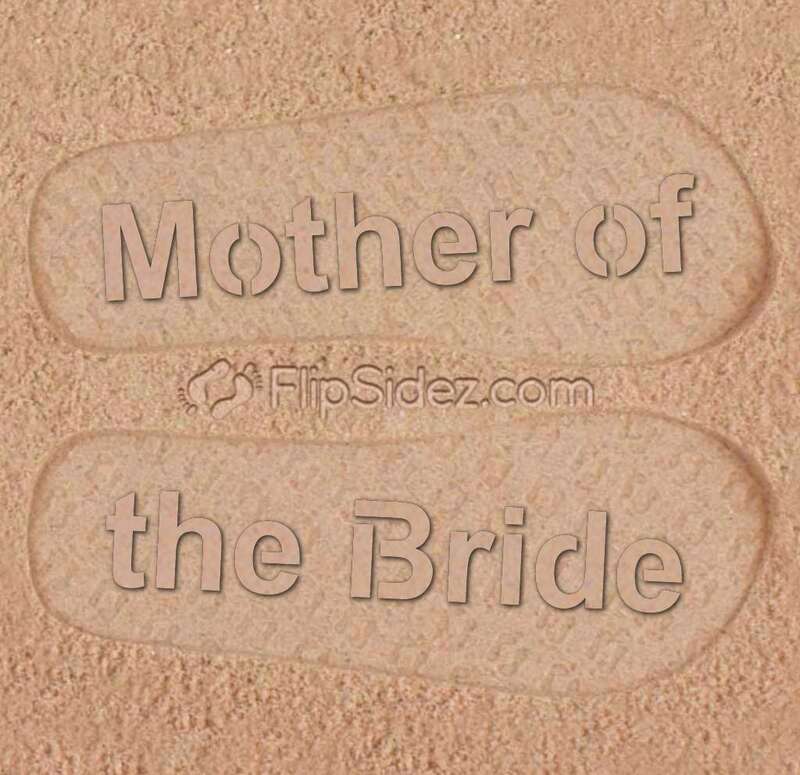 If you are interested in placing an order a wholesale order for wedding flip-flops, and have questions, please do not hesitate to contact us. 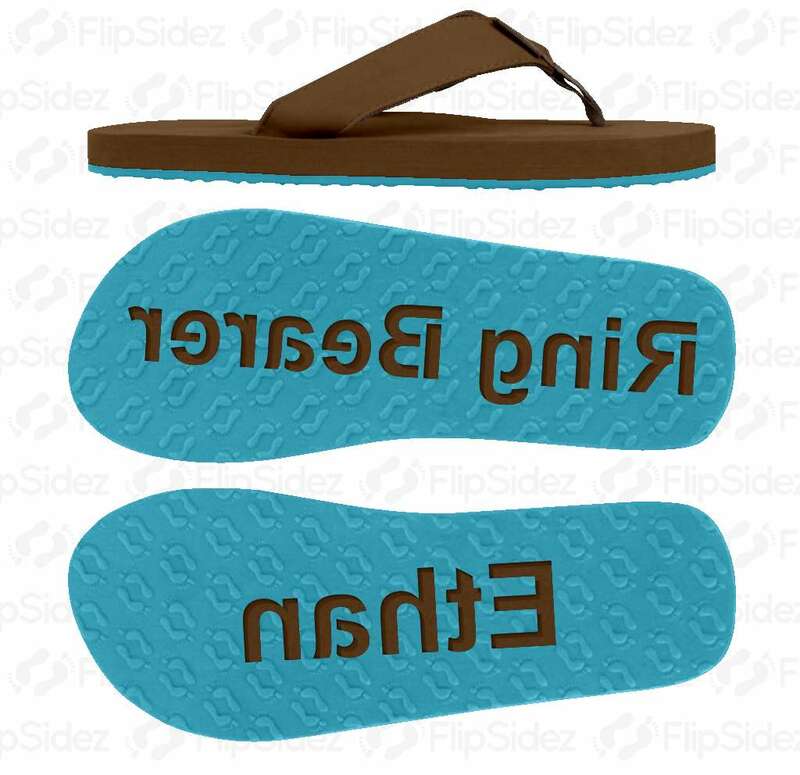 While orders can be placed through our website using our design tool, our in house designers create free digital design proofs by request. 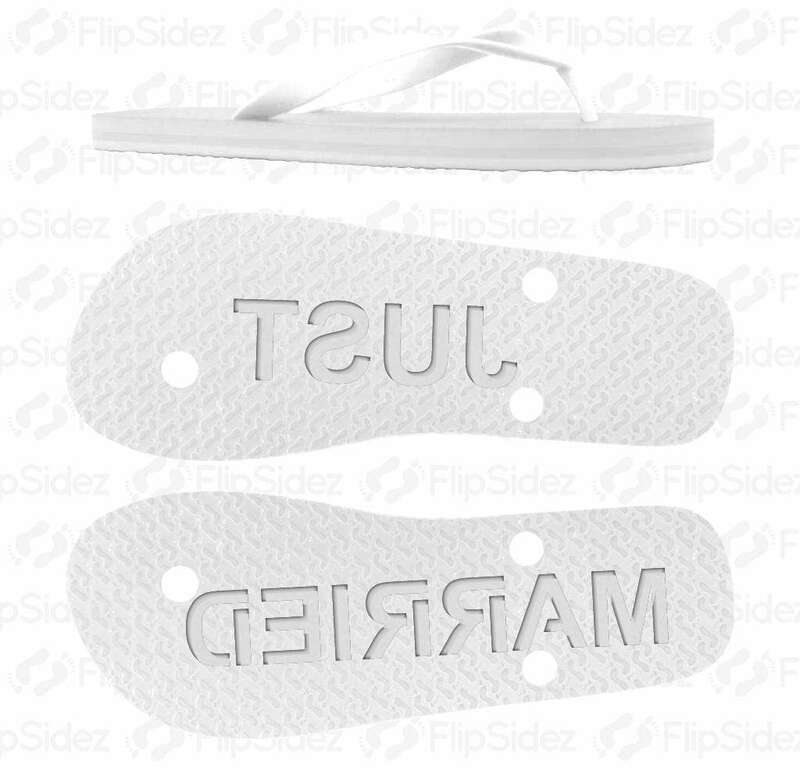 If you have a monogram that you want to have imprinted on your custom wedding-flip flops, send it to us and we will create and send you a proof.